This accessible, powerful book is the first to offer a comparative study of single mothers and infanticide in the ‘Two Irelands’ – a major and understudied theme in criminal history. Based largely on the judicial records of the Central Criminal Court in the National Archives of Ireland, the primary sources used constitute a rich, largely unexplored source for social historians of gender, class and sexuality. Case by case analysis of over 300 infanticide cases tried in Ireland, North and South, between 1900 and 1950. This powerful book explores the history of single mothers and infanticide in Ireland over a fifty-year period. 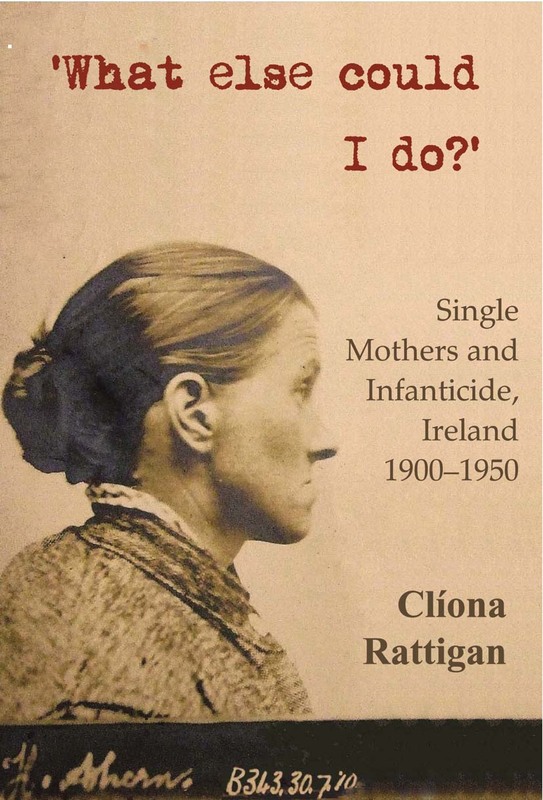 Based primarily on underused archival material, Rattigan provides a detailed analysis of the diverse experiences of unmarried mothers who faced criminal charges because they were suspected of having committed infanticide. Although statistics relating to female perpetrators of serious forms of crime are interrogated, the history of single women who killed their illegitimate infants cannot be understood through official numbers alone. The author undertakes a detailed case-by- case analysis of the records of over three hundred infanticide cases tried in Ireland, both North and South, during the first half of the twentieth century. This timely study will make an important contribution to historical scholarship and adds considerably to existing knowledge of female criminal behaviour in Ireland during the first half of the twentieth century. It is also a major contribution to historical understanding gender relations, class, sexuality and family life. Dr Clíona Rattigan was a Teaching Fellow in Modern Irish History at the University of Warwick, and currently a teacher of History and English at L’Ermitage International School of France.